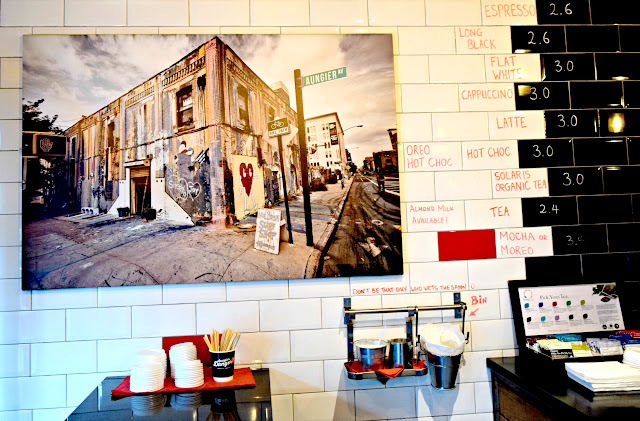 Discovering Ireland: Aungier Danger | Albatroz & Co. I remember a time when the words Aungier Danger were completely unknown to my ears and then one day at school my friend Lauren tells me about this donut shop she goes to sometimes for donuts and suddenly I hear about it everywhere, from other people, on the radio etc. It felt as though I had been let into a secret group that not many people knew about and I didn't even know that much about either. I was to have my first donut from there sometime last year in the small shop swallowed into it's surrounding business competitors and tall buildings. And it was pretty good coming from someone who doesn't have much of a sweet tooth. Back then I had only known of one of it's shops which was located on Aungier Street, however it seems these days the name is popping up everywhere. There is now another branch opened u on South Georges St. right across from the Yamamori Japanese Restaurant which I reviewed last week! 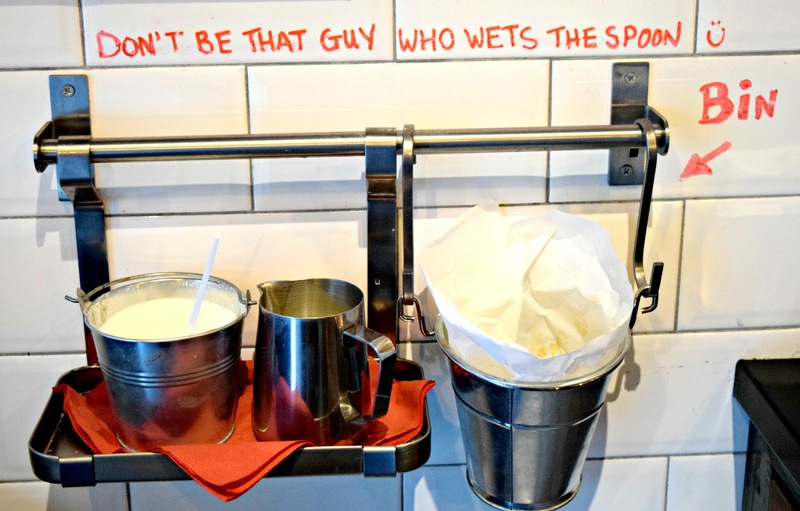 It's also pretty close to Bunsen and The Mongolian Barbecue too so you can always pop round there for some dessert. If you missed any of the three reviews I have mentioned, you can check them out here, here and here respectively. 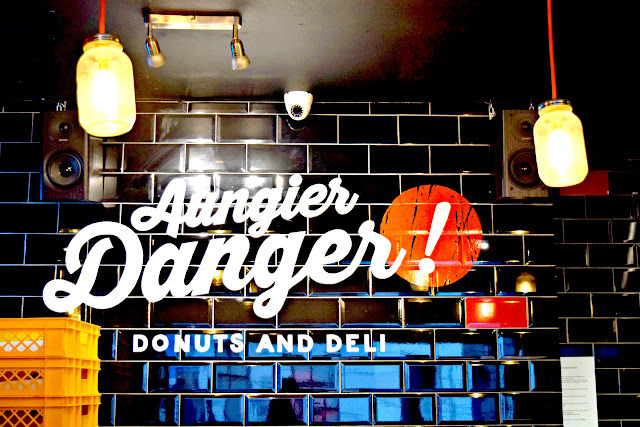 The donuts in Aungier Danger are pretty good, I mean as good as donuts can be. 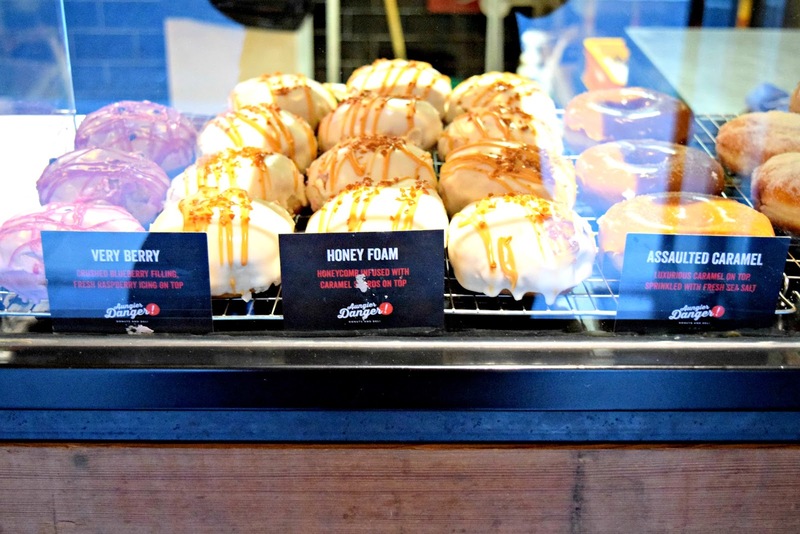 I particularly like and suspect that their whole aesthetic, and quirky named donuts are a part of the attraction for people. My favourite branch and the one I've visited most has to be Aungier Street. 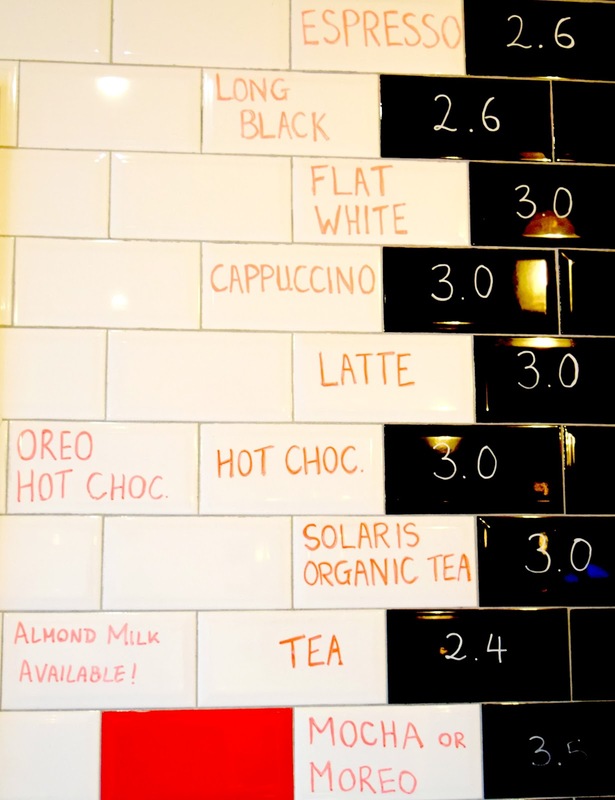 It is very quiet with most of it's customers being nicely dressed business men and women in suits or other and students from the university directly across the road. The music is left in the hand of the Sales Assistant on duty which lends greatly to its different yet always vibrant atmosphere. 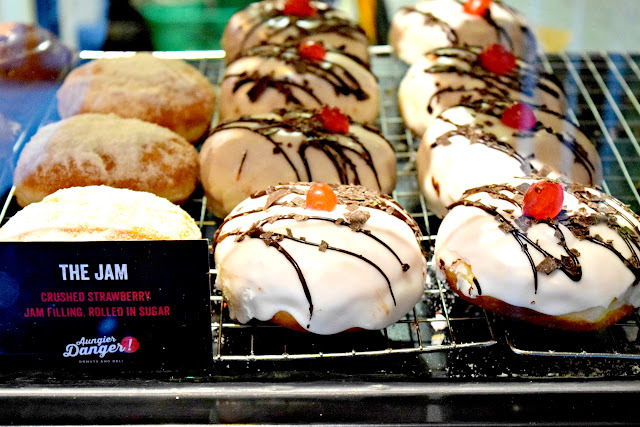 At €3 per donut which I thought and still think is a little much to pay for a single donut but it is no different from the likes of Boston Donuts or The Rolling Donut etc. You won't regret having one but it'd be hard to stomach more than that at any given time because they are VERY sweet. 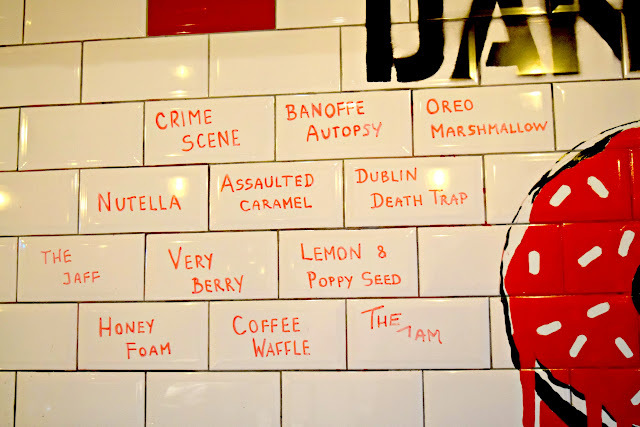 My favourite is the Crime Scene but avoid the Oreo Marshmallow because as tasty as it is, it is so. damn. sweet that you may or may not be able to finish it. 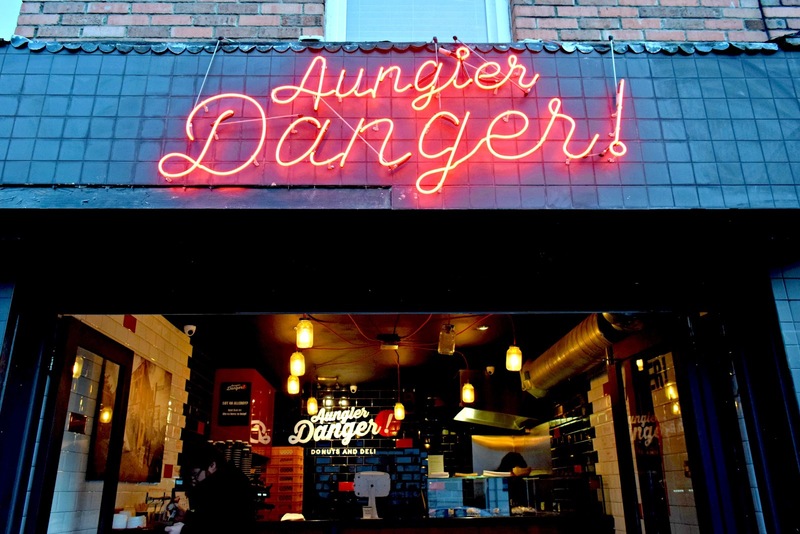 In conclusion, I personally love Aungier Danger hence why I'm choosing to write about it. It's great for a treat every now and again but as a lifestyle eating habit I wouldn't endorse having donuts be a part of it...obviously. 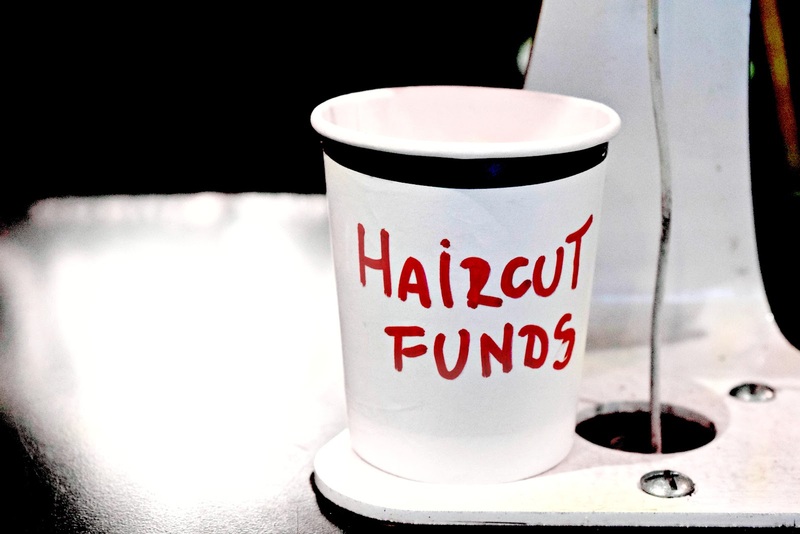 What are some of your guilty pleasures? 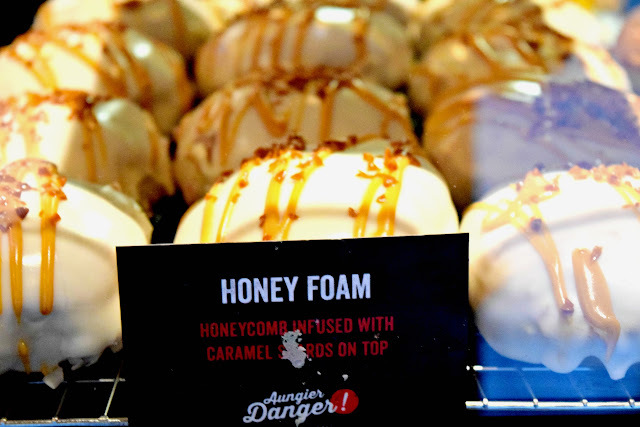 Have you had Aungier Danger donut? What did you think of it. Let me know below in the comments. Be sure to subscribe to the Albatroz & Co. Get In The Know newsletter HERE and keep up with the fun behind the blog! Last week's issue will be made downloadable in Sunday's post. The next issue will be sent Monday so subscribe to make sure you're not a week behind everyone else.